By Fionnuala Holohan | March 8, 2011. 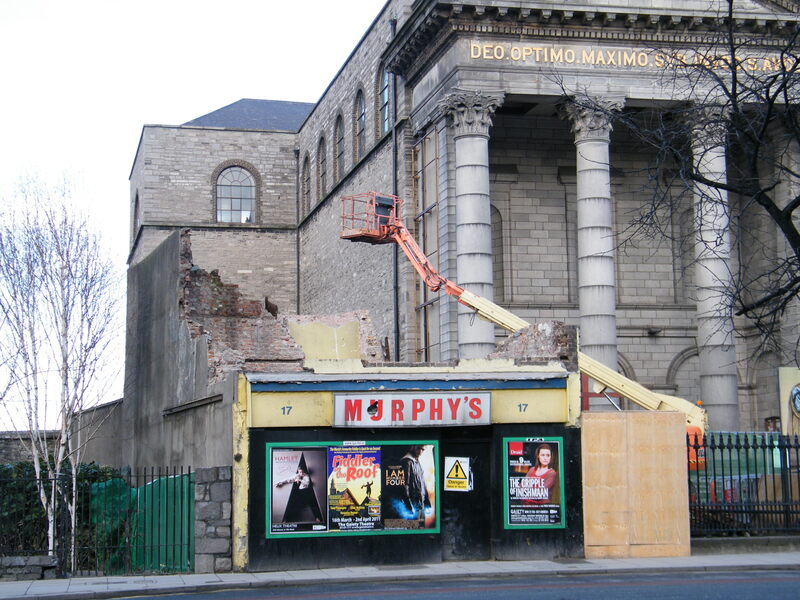 Demolition work has started on the former premises of Murphy’s Pram and Nursery store on the High Street. The shop was part of a complete terrace from High Street to Cornmarket Street, which was demolished in the early 70s following a compulsory purchase order issued by Dublin City Council to facilitate the widening of the High Street. Only No. 17, the shop, survived, as the documentation for its demolition had been lost. The Murphy family continued to trade from the premises up to 2001, despite having to install props and supports to keep the building safe after the demolition of its neighbouring buildings. In 2001, the family sought planning permission to rebuild on the site, a process which lasted five years, involved three re-applications and subsequent appeals. Having finally acquired planning permission in 2006, the family put the site out to tender, and the Catholic Archdiocese of Dublin beat nine other interested parties to purchase the site. A proposed plan at that time was for the site to become a community centre for the local Catholic Polish community, a community which has since declined following the recession. 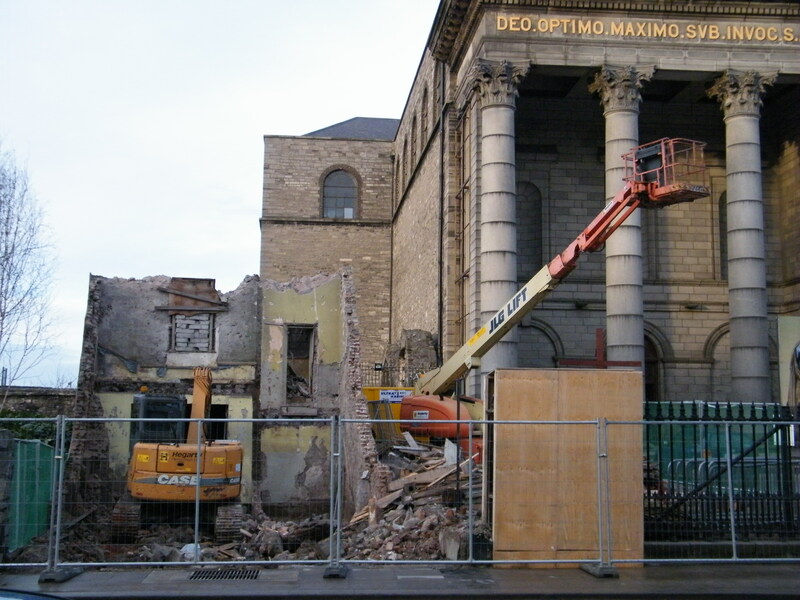 The building continued to deteriorate, and when the roof collapsed affecting the integrity of the external walls, and compromising pedestrian safety, Dublin City Council issued a Dangerous Building Notice to the Archdiocese. Hegarty Demolition was then called in by the Church to make the building safe. The initial contract is for the demolition of the building to first floor level, so that an assessment can be made as to what further work needs to be done to make the building safe. The basement of the building has access to the catacombs of ChristChurch and its proximity to a National Monument – the Medieval Church of St. Audoen – means that extreme care is being taken in this work. Joe Murphy, who first opened the store in 1942, passed away in 1999, and his wife Mary and family continue to run the business from their new location in Rathcoole. Local Sadie Doyle, 74, remembers the shop as it used to be. “We used to buy all of our prams and baby things in that shop,” she said, adding that many businesses in the Liberties relocated to the suburbs in the 70s and 80s, a trend which still continues today.